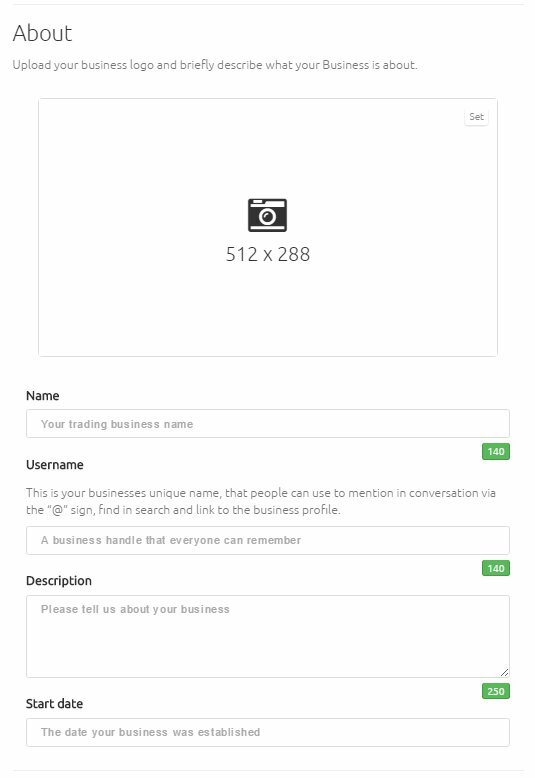 Select the Businesses tab to start a Business profile. Select the Create a Business Profile button for a list of requirements to pop up. A quick start wizard will pop up, this quick start wizard will help you through the process of setting up your business profile within minutes! Give your business profile some life by uploading your business/company logo and completing the necessary information about your business. Select a Category you think your business would fit in the best! There are more than 40 categories to pick from. 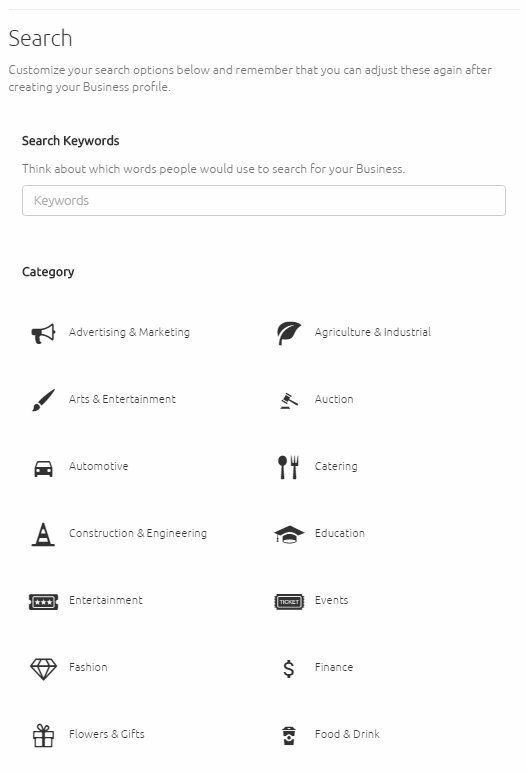 Don’t forget to add in Search Keywords which proves useful when searching for your Business. 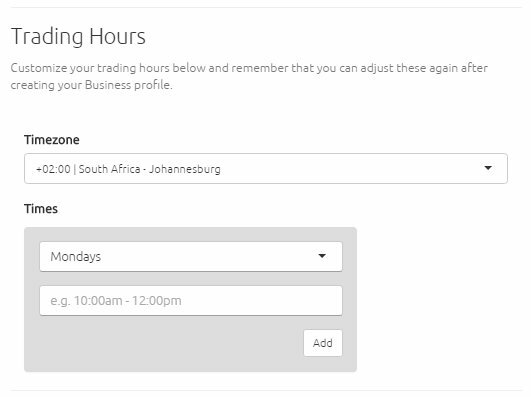 Scroll to Trading Hours to enter the times your business will be trading. Scroll to Location to add the location of your business. Once you have entered the accurate location details of your business, select Save & Continue to complete your ShweetSpot business profile. You can edit your business profile a bit further by selecting the Settings button on your top right of the page. Edit options such as Contact details, Company Category, Personalisation and Settings to Add a Team. Feel free to add and update these details at any time.